Global independent safety science company UL has introduced a new testing and commissioning service for the Middle East and North Africa (Mena) region that helps determine the energy efficiency of buildings. The launch of UL's new building envelope testing and commissioning services comes at a time when countries across the Mena region are striving to reduce energy consumption. The building envelope, often referred to as the façade and roof, consists of the thermal, weather and air barriers separating building interiors from the outdoor environment. The thermal performance of the envelope products and systems is critical to achieve energy efficiency and performance, said a statement from UL. The service provides performance testing and assessments to determine the rate of air infiltration and thermal performance of the entire building enclosure assemblies and components, it stated. The new service was unveiled at the recent Big 5 show in Dubai. The company said this expertise helps building owners, contractors, consultants and architects design and build more energy-efficient buildings – from pre-construction all the way through to post-installation. "UL believes this service, being offered to customers in the region for the first time, will be of interest due to the commitment of various Mena governments to reduce energy consumption. The UAE is making huge strides towards its goal to double the energy efficiency in buildings and reduce 30 per cent of energy demand by 2030," remarked Hamid Syed, the VP and general Manager of UL Middle East. "To be in line with the UAE government’s policy to reduce Dubai's electricity consumption by 30 per cent by 2030, businesses must aim to improve their energy efficiency and set affordable and clean energy goals to ensure a sustainable environment for future generations. Similar objectives have also been set in most countries across the region," stated Syed. 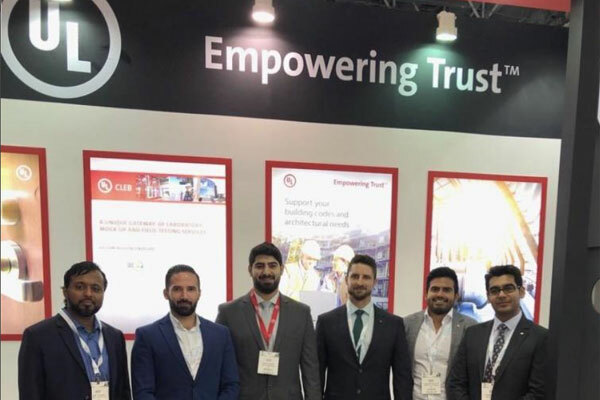 “Therefore, we know this is a service the construction industry will be interested in and were delighted to introduce it at The Big 5, where we received excellent feedback from clients who visited us,” he added.